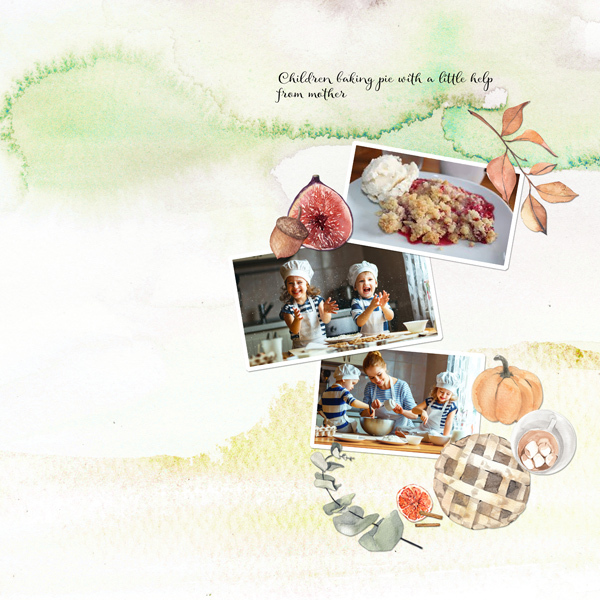 Layout made by Marie Orsini using the kits in the series October feelings by Aftermidnight Design. October makes you want to take a walk in the woods among the red leaves and then go home and have a cup of hot chocolate with marshmallows. In this kit you get all the papersto scrap the photos you take from such a walk. A paper kit full of circus feeling - you can almost feel the sawdust under your feet.